Many money-motivated Millennials (and they do exist) will bolt to new opportunities as soon as the great recession of 2007-20?? eases up…unless you happen to be an organization that recognizes their potential. Although they are often said to eschew monetary rewards, and have a great eagerness for rewards outside the monetary pay scale, many Millennials find their financial reality daunting. Many Millennials are operating under crushing debt: Most college students graduate with close to $20,000 in student loan debt. Graduate and professional students easily can incur $100,000 in loans that have to be repaid as of day one on the job. These knowledge economy workers have made a great investment in higher education, where costs have multiplied by triple digits at both private and public colleges in the last decade and a half. And they’re still escalating. Millennials now entering the workplace earn less than previous generations. Most workers’ real wages have been stagnant since the turn of the twenty-first century, and the gap between productivity growth and workers’ wages is at a historically high level. The inflation-adjusted earnings of new college grads have fallen dramatically. Millennials’ entry into the workforce has coincided with rapid increases in key living costs. Education, housing, and healthcare costs have increased rapidly over the last decade. Rents have gone up 50 percent in major metropolitan areas in the last ten years. Even with home prices falling in many regions as a result of the mortgage crisis, median home prices have skyrocketed in geographically appealing areas across the country, severely limiting affordability for first-time buyers. Millennials are paying more into Social Security than they pay in income taxes, even though most expect Social Security to be dried up long before they reach retirement age. It’s clear from these numbers that many Millennials are under increasing financial stress. Consequently, salary will be very important to them. In fact, while Boomers are more likely to want to be paid through a combination of salary and long-term savings and retirement options, Millennials generally tend to prefer to receive immediate compensation for their work. Because of the drastic economic reversals they’ve seen in the business world, Millennials are cautious, thinking that neither they nor their organizations will be around long enough to reap the rewards of a pension plan or long-term savings options. They want a check and portable 401(k) match to make their own retirement and investment decisions. How does Millennial financial stress play out in real dollar terms in today’s workplace? Let’s take a look at determining salary basics. The questions are: What’s a job worth to you? And what are you worth to your potential employer? The first thing to do is understand your organization’s total compensation system, including its compensation philosophy–pay for performance or pay for potential, discussed below–and its attitude toward incentives and benefits. Pay for performance is the compensation system the Boomers typically use to set and increase pay. It’s what most of us who’ve been working for a while are used to: salaries increase slowly and steadily the more you work, and we do mean slowly–the average salary increase is 3 percent annually. Seriously. Ever wonder on what basis your salary increases (or doesn’t increase) over time? How decisions are made about your pay? Has your company said they pay you for your performance? Or that they reward for results? Here’s the way it really works in many companies today. First, let’s address performance. Your organization may have a rating system to determine if you are meeting expectations: good, great, fantastic, wonderful, outstanding, walking on water–or not meeting expectations: needing improvement, one foot out the door, they wish you were gone. No matter how the rating scale is presented, here are the basics: 80 percent of employees are rated as doing okay, being cool, getting it done. Forget the labels of good to great; in truth, only 10 to 15 percent of you will be in the “star” category, and 5 to 10 percent may be in the “cull the herd” (get ’em out the door) category. The 80 percent of you in the middle are often divided into three or four categories that are shades of gray in which the distinctions of why you are pretty good, good, or really good are very hard to find. Now let’s tie that to your pay increase. Your organization has only so much money that management wants to spend on pay increases. This is called a salary increase or merit increase budget. Their job is to figure out how to lay that money on you and all of your colleagues. In their search for a solution, they develop a table that will tell your bosses what they are allowed to give you if you meet certain performance standards, measured on an organization-wide rating scale. This is referred to as a salary increase or merit increase matrix, or guide chart. This chart quantifies your performance level and sometimes your length of service with the organization and/or your position in a salary range, and gives salary increase guidelines to your manager. It is linked to the increase budget, which for the past twenty years has been 4 percent (plus or minus 2 percent, depending on the year). During the past two years, it has been down around 2 percent (for those organizations that actually gave increases), and in the great boom of the late 1990s was as high as 5 to 6 percent in certain industries and for hard-to-find positions. You Rock 3 % A little extra effort, and you too can be a star–10 percent of you. That middle group–Fantastic, You Rock, and You Almost Rock–makes up 80 percent of the population of your organization. With a 1 percent difference in your salary increase between the categories, let’s do the math. Pay for performance=a six-pack of beer. If you are making what the average worker makes ($47,569.60 per year, a 1 percent difference in your pay is $475.70 per year, $18.30 gross per pay period (if you have twenty-six pay periods per year), and about $12.81 net per pay period after Social Security, Medicare, and federal, state, and other taxes. That’s about $6.40 per week. And according to our research, that’s what you’d pay for a six-pack of beer. Or–if you are lucky, and you are bumped up a level–two six-packs! You can’t really believe that this nominal differentiation in pay is motivational and drives performance results. It doesn’t. In fact, it may aggravate working relationships for folks who believe that their performance really matters in determining their future value and find that where the rubber meets the road–their pay–it makes no difference. “Pay for potential” is a compensation philosophy that tries to level the playing field based on what each employee brings to the job and how well he leverages those competencies. It’s a new concept that gets rid of “the more years you work, the more money you should make” mentality, and recognizes individual talent and potential. While it is challenging for the Boomers to accept a new way of thinking about compensation, pay for potential is far and away the best plan to connect and engage with Millennials. Say you’ve been writing computer programs since you were twelve and have a few video games that you’ve created as well. Why are you being paid less than a person who has ten fewer years of real-world experience than you do even if you are younger? Because your talent and potential do not count in the twentieth-century workplace until you demonstrate them through performance. If your organization has moved into the twenty-first century and believes in pay for potential–rewarding you for the skills and competencies you bring in and how those unique assets get manifested in your work regardless of your age or years of workplace experience–then your salary may actually reflect your true gifts. One way to assess and integrate pay for potential is by using a “nine box system,” which allows organizations to blend the best of both pay philosophies. With potential rated low to high on an X axis and performance rated low to high on a Y axis, it shows steady performers, potential stars, and rock stars as categories of potential. Potential is assessed in terms of “how high” (next level, top management, etc.) and “how soon” (readiness). So, imagine that you are an entry-level whiz kid–all the potential in the world, but still developing. Traditional salary increase programs in most companies will make you earn your spurs in time spent on the job before you start racking up the big bucks. Why? It’s a way that compensation planners “manage” your expectations and keep you in line. And opportunities for promotion are limited since many companies suffer from middle-management malaise, having eliminated these positions in cost-cutting measures (or in response to a fading management fad du jour known as “increased span of control”). This is frustrating. It is why many money-motivated Millennials (and they do exist) will bolt to new opportunities as soon as the great recession of 2007-20?? eases up. Unless you happen to be in one of those organizations that recognizes your potential. What these companies have done is break the mold. They will accelerate your compensation not just based on your performance but on what you bring to the table, namely, an asset they want to secure for the long-run. It may be your intellect, your inventiveness, your ingenuity, your incessant drive. But they love you and want to keep you. Normally, your performance is the only driver of pay. In a nine-box system that recognizes multiple dimensions (see diagram below), the actual increases will be higher for those with comparable performance whose potential is far superior. As you can see, the “good” potential performer could expect to receive merit increases of 2-6 percent based on “traditional” pay-for-performance programs. This is about the limit in most old-school compensation systems. Not Exciting? But, in this example, under a pay-for-potential system, the rock star with superior performance could receive a 15 percent increase. This is epic. Find a company that innovates in its approach to compensation–that is, it recognizes and accelerates pay for those whose potential exceeds their age–and you may decide to stay for a while! You should also understand that all components of pay are negotiable and that you are the chief negotiator. Think of it as free agency. How do you think A-Rod got his record-breaking salary? When you go into a job interview and you’re asked what salary range you have in mind, do not answer. Ask nicely to defer the answer until you’ve discussed the job a bit more. Let the interviewer suggest a figure. Nod wisely. Do not snap at that lure like a hungry bass. Tell the interviewer your research has shown the range for the job to be whatever it is, and that you believe your experience qualifies you to come in at the top of that range. You won’t get it, but you’ll probably get a counteroffer somewhere in between. Or maybe you’re already parked in a cube, wondering whether you can sleep there if your paycheck doesn’t cover the rent. Do you believe your work is worth more money than you’re making? If so, you’ve got company. According to a recent www.Salary.com survey, of 7,141 individuals and 363 human resource or other company representatives, 65 percent of respondents said they’re looking for a new job within the next three months. Fifty-six percent of those say they’re looking because they believe they are underpaid. Again, do the market research on comparable jobs in your region. Additionally, the HR department may have a regional salary range book. Ask if you can see this; it will be more accurate regarding what employees in your region make than the employer surveys conducted by the big websites– such as the ones mentioned above. Bigger organizations and public entities publish their pay ranges for all jobs. Ask! Open the curtain on pay practices. Suspicious minds are quick to distrust their leaders when pay information is kept secret. Being transparent will pay off, provided you administer your pay plans with consistency. Take the mystery out of the numbers. As you begin mulling over the total value of an employer’s compensation package, start by figuring out the organization’s compensation philosophy. Do they want to motivate you to perform, or just pay you for showing up? Or are they trying to get you to work your buns off for as cheap as they can get away with, knowing that right before you leave, you’ll sound off about pay and they can adjust your salary a little then? Know their MO (modus operandi)–before and after you join them. Once you’ve assessed the compensation dynamic, move on to the following areas. 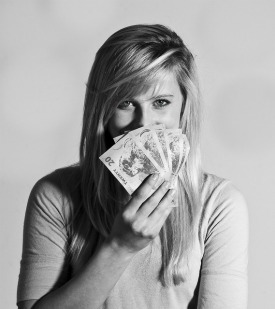 How much do they offer you for the basics–showing up, doing your job, producing some results? This is your base salary. The HR department will spend a lot of time comparing your job to other jobs and trying to figure out what you are worth in the marketplace. The truth is, there is a lot of variability in the market depending on location, supply and demand, and the skill set required. The more skills you have, the more you should get paid. But pay is an art form–not a science. Translation? You have plenty of room to negotiate–if you are good. Understand that your initial base salary is what all your future raises and salaries will key off of. Pay attention to this, as the money you earn–lifetime earnings, Social Security payouts, and benefits, including retirement contributions–is cumulative. Throughout your working years, you’ve got to keep leveraging your salary, moving it up at every opportunity. Know how your organization makes money. Whatever else you do, align your work with some part of that process. Document how your contributions support the goals of your organization. Literally show the people around you how you add value. It pays to connect the dots for busy managers who ultimately have to compare you to your coworkers and dole out the raise budget accordingly. Be aware of company policy regarding compensation. Some companies are limited by budget constraints, or can only give raises at certain times of the year. Have a clear idea of what you want if you ask for a raise. Determine the salary range you’re looking for and have a justification for the increase before you make the request. Be flexible. How about accepting an extra week of vacation instead of a raise? Or a leave of absence to work for a cause that means a lot to you? Or time to work on a new project you’ve devised in your own organization? Whether your organization’s philosophy is pay for performance or pay for potential, the considerations we’ve outlined here all apply: researching salaries and asking for, assessing, and getting what you want. You can find plenty of help online to research compensation and hone your skills. Maximize your baseline salary, and understand that nonmonetary compensation is often as valuable as salary, especially if it involves time off. Most of all, understand that compensation is usually negotiable, and state your case! 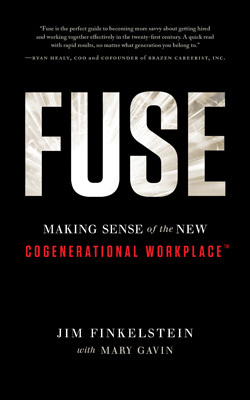 Reprinted with permission from Fuse: Making Sense of the New Cogenerational Workplace™ by Jim Finkelstein, Greenleaf Book Group Press.